Condo Culture | Do you really need a car in KW? Do you really need a car in KW? When you look at a market such as Toronto, the cost of owning a car, in conjunction with the walkability, and the extensive public transit system that Toronto offers, it seems that owning a car is entirely unnecessary. Conversely, in Kitchener-Waterloo, vehicles were a necessity to get to work, run errands, go to the gym, or just to get from Point A to Point B. However, things are changing. Has Kitchener-Waterloo reached a point yet where we can get by without a car, as many Torontonians do? We’ve got the inside scoop. We all know the LRT is coming. In fact, the Region of Waterloo approved the Light Rail Transit system in 2009. 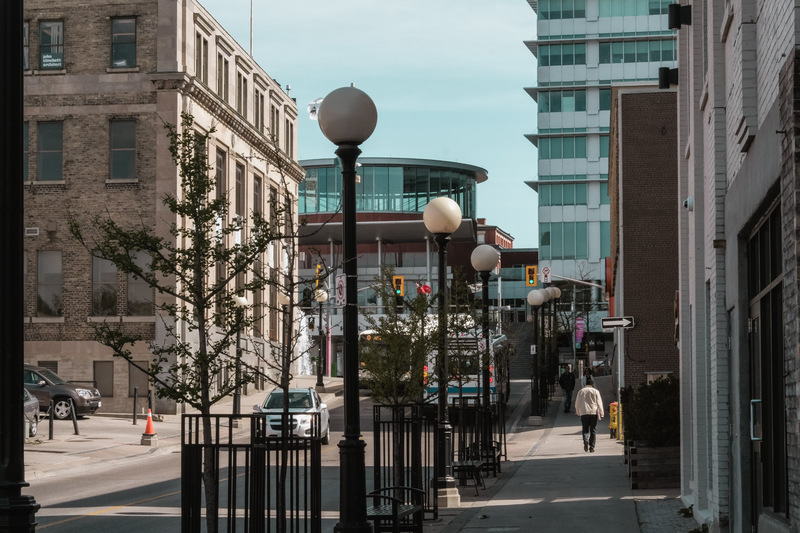 A lot has happened in 9 years - the region has issued $2.4 billion in building permits along the LRT corridor, which runs parallel to both Uptown Waterloo and Downtown Kitchener. Between 2018 and 2020 alone, Waterloo Region expects to issue building permits for 7,300 new condo units and/or apartment units. All of this development will be high-density, transit-oriented and will include retail, commercial and personal services. Businesses and retailers are capitalizing on the rising number of core habitants, and that’s good news for those contemplating purchasing a condo in the core. 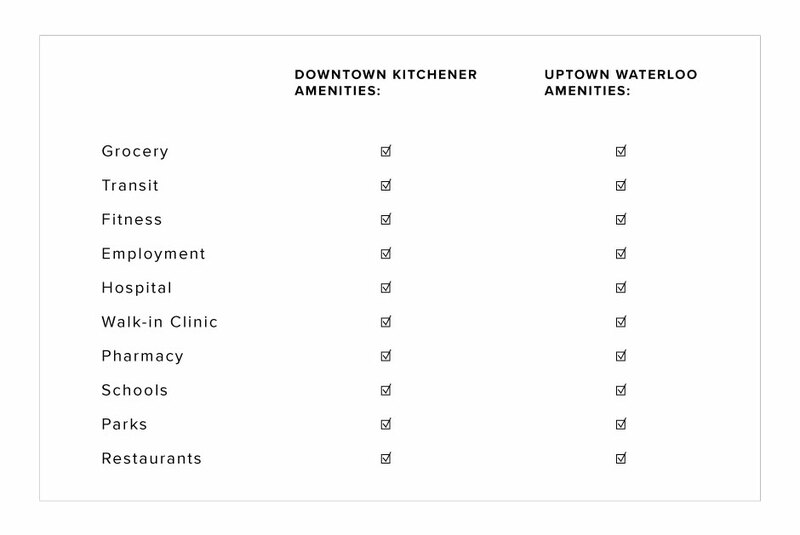 The amenity scene has vastly improved, and both Uptown Waterloo and Downtown Kitchener now have all the necessities within walking distance, or, within a short ride on the LRT. It’s no coincidence that new condo projects are being planning with fewer and fewer parking spots. Circa 1877 and Garment Street Condos (188 and 307 units, respectively) are the 2 largest condo developments to get approval with less than a 1:1 parking ratio. In other words, many units were sold without the possibility of ever getting a parking spot. Both of these projects also offer a car share service out of their underground parking lots, and both projects set new sell-out records, at 48 hours and 22 minutes, respectively. The market is changing, and Kitchener-Waterloo condo buyers are embracing it. It used to be that living in KW meant you must also own a vehicle to get around. Today, we’ve got options.